That's the reason why I believe that it's odd for Huntingdon (a town that has a Walmart, right?) to be considered 1A but Scotts Hill (a town that has nothing other than a BBQ joint and a Mom-and-Pop's pizza place) to be 2A. I know Henderson County is open enrollment I believe, but still. If Hookfin was at Haywood, this was their district for as long as he was there. Now, this is Dyersburg's district for the time being. I hate to see this decision but you can't blame them. However, Haywood's Superintendent (Joey Hassell I believe) will have to make a homerun hire in order for Haywood to get the power back. What also kills Haywood is the fact that it's April 17th. In 10 weeks from now, it'll be July 4th. Interim route or hire from with-in makes a lot since now. I don't think this is anything football related to this decision. I believe this is all family related. His son played in their bowl vs Syracuse and threw a beautiful touchdown in their spring game. So, he could potentially be the starter, but he'll definitely be in competition for the job. I don't blame Coach Lowe. Your son is can be in contention for a starting quarterback job in the Big 12, and has a NFL body as long as he is properly developed. To me, I don't think Coach Lowe would necessarily be "all in" and focused for Bolivar this season. Needless to say, I don't think Bolivar would be a good team this fall anyway. However, I do think he'll get back into coaching. Yes, and I agree. However, their weight room isn't the best and when I do attend games at Huntingdon, they seem to have scoreboard issues, which is included in "facilities" right? Also, I don't know how Huntingdon is 1A, but they are. What does Memphis schools have to do with this? I know a lot of people will ride the Loretto train next year, and Gibson County have everything it takes to be back at Murfreesboro next year. However, if I had to say the team with the best chance to win state, I’ll still go Greenfield. Not winning state tournament this year will give Moore McNeil and the Darby sisters tons of motivation to win it next year. Covington and Westview will have the best chances in AA. Also don’t sleep on South Side either, I know they’ll lose a 2,000 point scorer, but they have a talented freshman that will be really good next year. I know the Westview/South Side matchups are great games, and I don’t expect Coach McNeal to have an average team next year and use Miller as the scapegoat, they’ll be good as well. Agree. 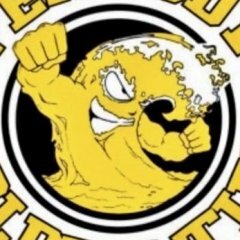 Noticed that Loretto had 38 rebounds in their game against Greenfield and won that game, but had 28 (in that area) against Gibson County and lost (if they had 38 rebounds against GC, they would’ve won too). Crazy how high the numbers are in a 32 minute game. Other than Weathers, Loretto shot 22%. Gibson County shot over 60% from three and 46% overall. Loretto only had two more fouls than Gibson County, and Gibson County only shot two more free throws than Loretto. I mentioned back on the first page that fatigue could play a factor in this game, especially for Loretto, and I think it did. Victoria Chadwell played 91% of the time (88 of 96 minutes) Karly Weathers played 99% (95 of 96 minutes), that's a lot for a team that hasn't played in three games in a three day stretch since Christmas Break. Even though Karly Weathers played well today, Ke. Weathers, McBee, and Caldwell went a combined 2 for 16 today. Needless to say, I am proud of Gibson County. Played well and a team that is amazing from the free throw line. I don't know if any of those players are playing college basketball, but they're one great of a high school basketball team. I'll admit, I didn't believe in them early this season at all. I don't know how much depth is needed when it comes to the state tournament. Obviously, when you reach postseason play, the rotations get shorter and you don't play as much players off the bench. I have looked at the statistics from both games for both teams. First thing I've noticed is that Loretto can rebuild pretty well. They had 38 rebounds against Oneida and 37 rebounds against Greenfield. However, Gibson County starters logged 131 minutes (81%) against Summertown (Thursday) and 105 minutes (66%) against Midway (Friday). Meanwhile, Loretto starters have combined 116 minutes (73%) against Oneida (Thursday) and 150 minutes (94%) against Greenfield. I don't know how much minutes will play a role in this. However, Loretto only went 6 deep against Greenfield and three players played the whole game, while another player played 31 of 32 minutes. I know this girls will be energetic and their adrenaline will be going, but its something to pay somewhat attention to. The girl that shot under 33% outplayed the girl that shot over 50%? Come on man, you really think the game was called fair if the foul separation was 20+? I don’t believe Memphis refs are better than the refs in West Tennessee. Yes, some refs are better than others, but as a whole association, I’ll take West Tennessee refs over Memphis refs in basketball, and definitely football. How do a 4th place team get POY & COY? Yes! And I agree, I feel like that’ll be the case in this year Miss Basketball for single A. Two of the three participants are from West Tennessee and the other is from Middle Tennessee. And all the Middle Tennessee voters with vote for their girl and the East Tennessee voters have no one to vote for, so they will probably vote for the Middle Tennessee girl because it’s closer to home.